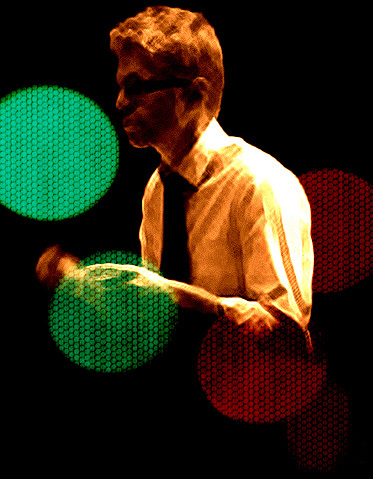 Jazz composer, arranger and big band leader. Download big band sheet music arrangements. "At times the playing is quite stupendous." 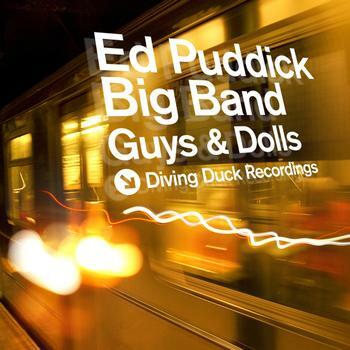 Guys & Dolls, the debut album by the Ed Puddick Big Band, is a bold reworking of 13 pieces taken from the well-loved Frank Loesser musical of the same name. Released in 2010 on Diving Duck Recordings to considerable critical acclaim, it spotlights regular players from Ed's 15-piece band in sophisticated, diverse and surprising arrangements. Track Listing: Fugue for Tinhorns; Follow the Fold; The Oldest Established...; I'll Know; Pet Me, Poppa; Adelaide's Lament; Guys and Dolls; Adelaide; If I Were a Bell; A Woman In Love; Take Back Your Mink; Luck Be a Lady; Sue Me/Sit Down, You're Rockin' the Boat. Personnel: Ed Puddick: leader & arranger; Chris Allard: guitar; Ryan Trebilcock: bass; Richard Barr: drums; Bethan Jones: percussion; Andy Gathercole: trumpet, flugelhorn; Noel Langley: trumpet, flugelhorn; Nick Smart: trumpet: flugelhorn; Percy Pursglove: trumpet: flugelhorn; Mike Feltham, trombone; Simon Walker, trombone; Andy Lester: bass trombone; Jim Rattigan: French horn; Dan Faulkner: tenor saxophone; Sam Bullard: alto saxophone, soprano saxophone, flute, clarinet; George Crowley: tenor saxophone, clarinet; Claire McInerney: baritone saxophone, bass clarinet. Shipping is included and all the money directly supports the creation of more great new music. Copies may be signed on request. Welcome to the online home of jazz composer, arranger and bandleader Ed Puddick. Here you can find out more about the Ed Puddick Big Band, order CDs, download sheet music and get in touch with Ed directly. Enter your email address to receive notifications of new posts on this site by email.